Vista Storage of Green makes the rental process simple. Search for the right storage location. 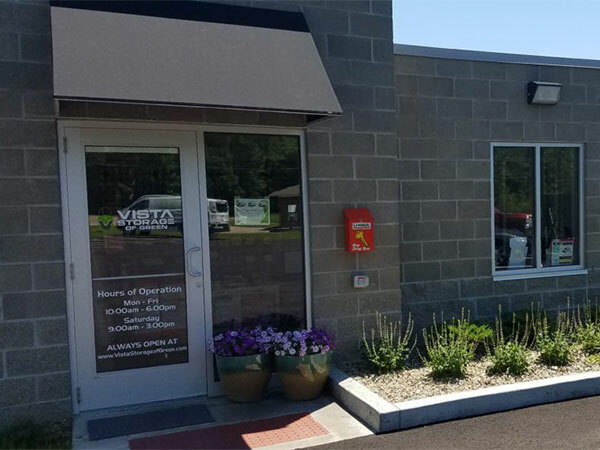 Vista Storage of Green is conveniently located in Green, Ohio just south of SR619. We are less than two miles from I-77. Select the size storage unit you need and reserve it. If you’re not sure how big a unit to reserve, use our size guide or call us at (330) 699-6880 to speak directly to the store manager who will take an inventory of your items and recommend the correct size. It’s time to store! On the day of your move-in, you can complete your rental paperwork in our office. Then simply move your stuff into your unit and put a lock on the door.